As a society we want our children and young people to thrive and fulfill their potential. How then, can we best identify and respond to their needs in order to achieve this? In this lecture, Professor Claire Cameron takes the case of children in state care and the longer-term impacts on those young people of having been in care. In particular, she will examine the practice of social pedagogy, which describes a holistic and relationship-centered way of working in care and educational settings, and what this can bring to young people’s development – physical, emotional, intellectual and social. Professor Cameron argues that to make substantial progress for all young people we need to expand our understanding of the scope of "belonging" to give children in care a "rich" life. 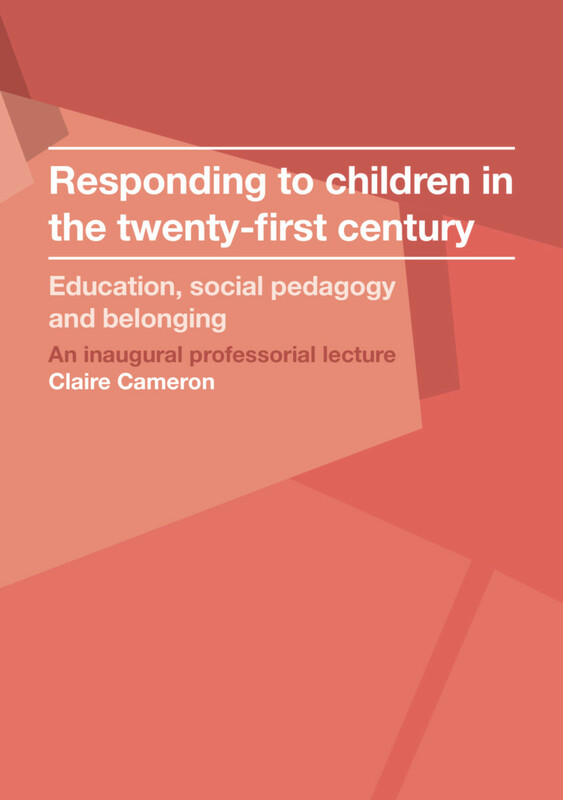 Claire Cameron is Professor of Social Pedagogy at the UCL Institute of Education.